How is 3D Printing and the Polar 3d Desktop printer transforming the classroom? Nationally syndicated radio host Frankie Boyer discusses this issue with Polar 3D co-founder William "Bill" Steele on BizTalk Radio. 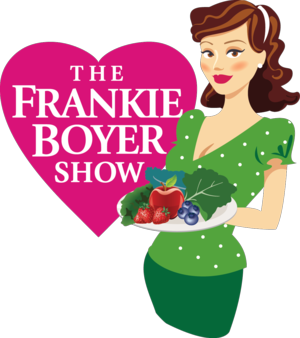 Frankie Boyer: This is Frankie Boyer, glad you are with us today on BizTalkRadio. It's a magnificent day, just a magnificent day. Our first guest today is Bill Steele. Nice to have you with us. Frankie Boyer: You are the co-founder, chief engineer of Polar 3D. This is probably one of the most exciting projects that we’ve talked about on the show in a long time. So let’s talk about how 3D printing is transforming the classroom and what you are doing because this is just going to amaze people. Bill Steele: Yes, it's a neat field to be in. The whole idea of the 3D printer is to inspire students to get through the initial hurdles that a lot of them have when they first create a project. A lot of times, they fail and they give up. But the idea that we had was that if you fail often and early enough, you can iterate over that design, and you can keep enhancing it until you get it right. And that’s the whole idea behind this whole entrepreneurial thing. Even the printer itself, we spent many, many months developing different versions of the printer until we got it right. So that’s one of the beauties of it. Frankie Boyer: So, tell us exactly, your company has partnered with the Boys & Girls Clubs of America and have donated resources to build these 3D labs at these clubs across America? Bill Steele: Yes. We started locally in Cincinnati. We are putting printers in a dozen sites across the country as an initial rollout. This allows the kids, when they come into their afterschool programs, experience 3D printing. A lot of them don’t have any outlets for their creativity other than maybe an art class in school or something like that. But this allows them to pursue whatever passion it is that they want to follow. Some of them want to make game pieces, some of them want to make rockets, whatever it happens to be, the printer allows them to do that. Frankie Boyer: I love this concept. So you are giving kids an opportunity to look at being an entrepreneur, of creating something that’s theirs? Bill Steele: Yes. And speaking of the entrepreneurship of it, one of the other things that they do is, some Boys & Girls Clubs have set up campaigns if you will, where the students come up with ideas for products that they can sell. And then maybe they go out into the community and sell personalized versions of those products, so a keychain or a phone case or something like that that’s tailored to that specific customer. Frankie Boyer: But most of us have a hard time understanding how this 3D printing works. So can you explain to us what exactly the lab looks like and what they are given to create these things? Bill Steele: Yes. The printer is just a simple machine that is, I will call it, a really fancy hot glue gun, where the hot glue is actually a plastic and the nozzle is a very, very fine nozzle. We have tight computer control over what the machine is actually drawing with the melted plastic. The labs that we’re putting into the facilities are six 3D printers that have WiFi connectivity. There is our Polar cloud application, which is a Web-based application for managing all the printers. It allows the kids to design their parts, share and collaborate with others the design of their parts and then submit them to the cloud so the administrators of the printers or even maybe the kids themselves can then send them directly to the printer. This allows them to manage that print job because it takes a while for some of these jobs to print. Several hours in some cases. Typically, when they are at the Boys & Girls Club, they will be there for an hour or two, and then have to go home. However, their print job might take six hours to print. So the Polar Cloud Web app allows them to use their phone to monitor the progress, so they can see when it’s done, for example. Frankie Boyer: So, that’s very cool. Yes, very cool. What I love about this story, and you know what I was saying when I first came on the air is that it’s a gorgeous day today, I’m so grateful for the life that I have. I am grateful that I can do what I love doing because so many people wake up and have that, oh, I have to do this, I don’t want to do it. But for so many of us, we love what we do. And this is giving kids a taste of what they can create as well as being involved in the project and seeing it become reality from an idea to execution. Bill Steele: Yes, that real-world portion is the important part. You know, a lot of kids will have ideas, but they have no way of acting on them. With these labs, they will be able to spend time, and again, they will learn the iterative process of design and development. They will learn from their failures rapidly and very inexpensively, which is the cool part. And then, the beauty of it is to be an entrepreneur, you have to be successful, right, at some point?But there are always a lot of failures along the way, and this allows them to understand, 'Hey, it’s perfectly okay to fail.' It's just a part of the process. Frankie Boyer: I love that you’re doing this. And so the three cities that you are kicking this off, Washington DC; Portland, Oregon; and right there where you are in Cincinnati. When will the other cities be rolled out? How long a plan, is it a four-year plan or something? Bill Steele: Oh, no, no. These will be done very rapidly. Frankie Boyer: Oh, they will? Bill Steele: Yes. We'll typically be rolling out one or two labs a month from now moving forward. And it’s purely dependent on the Boys & Girls Club’s scheduling of them. We have set aside the hardware and everything are all ready for them. Frankie Boyer: Okay. So, tell me how does one become a Polar Ambassador project? Bill Steele: The Polar Ambassador is – you know, our primary customer is the education market - schools. We put a lot of printers into schools. And pretty much every school that we’ve been to, we found somebody that steps up to the plate and learns the printer inside and out. We recognize that, so we engage them and ask them to be kind of like the support model, the local support model for others that might need help with the printer. Maybe they don’t understand how to do something or maybe we just want to teach others how to do it. So we ask those people to step up, and we do that by having them apply for the Polar Ambassador program. When they are accepted or if they are accepted, what we do is help them out and give them a discount of the Polar 3D printer. In addition, we give them filament and other materials they might need to support that goal. Frankie Boyer: I love this. I just love what you’re doing. Bill Steele: Thank you. It works well. And our Polar Ambassadors can also manage the printer. Maybe the printer gets clogged. So we teach them how to unclog it and be the local knowledge resource for frontline support. Frankie Boyer: Is there anything that you cannot print with the 3D printer? Bill Steele: Well, the printer is designed to print in low-temperature plastics. So the plastic we typically use is called PLA. It’s a biodegradable plastic, made from corn starch. Pretty much anything that you can think of that you would buy in everyday use in plastic, you can build them. Frankie Boyer: So will you come back and share with us what they are making with these 3D printers? Frankie Boyer: Okay, good, good, good. And for more information, Bill, we’re almost out of time. What’s the best website people can go to? Frankie Boyer: Thank you so much. Contact us for more information about the Polar 3D Desktop Printer or the Polar Ambassador program.